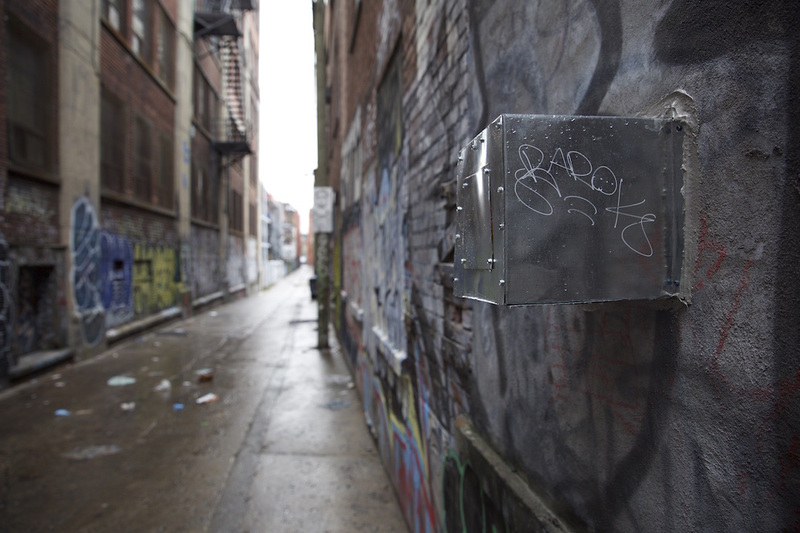 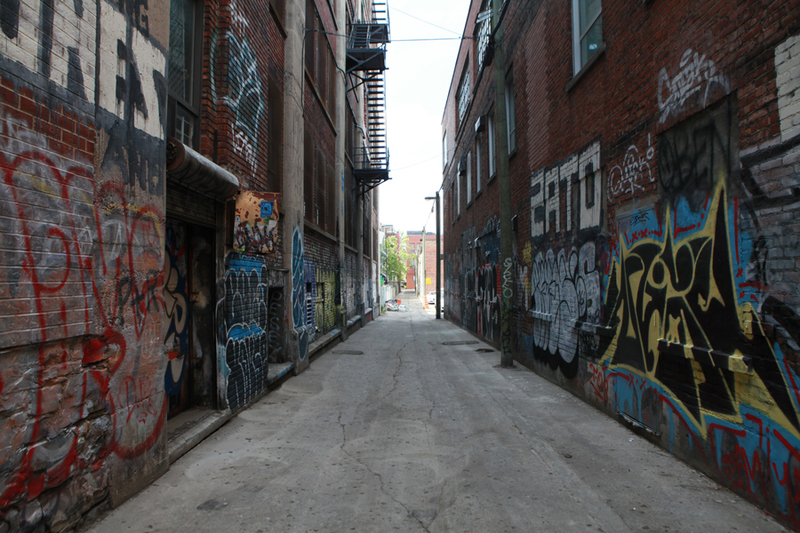 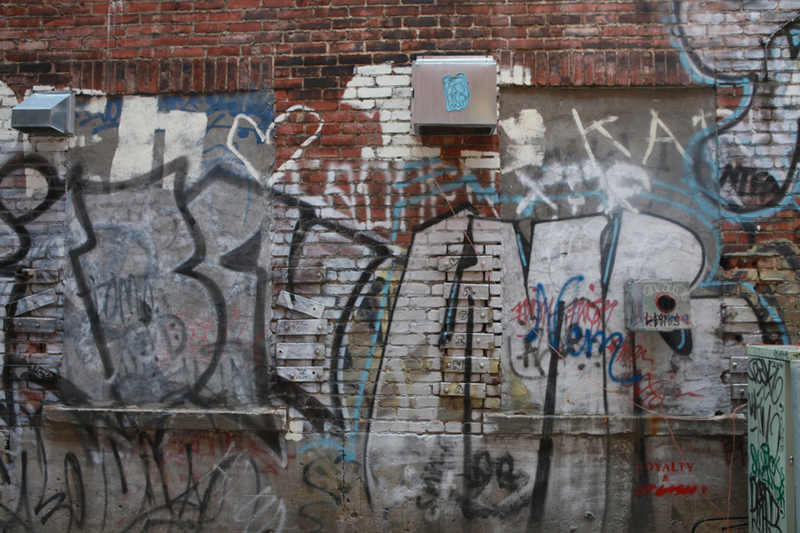 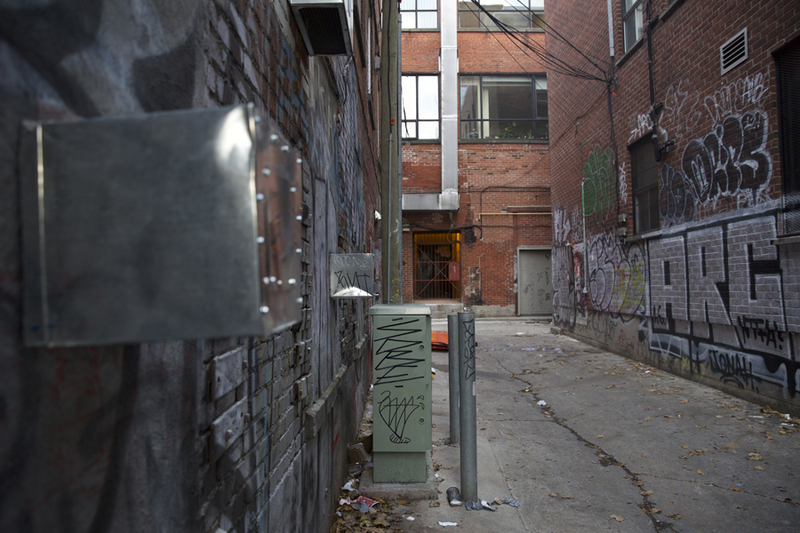 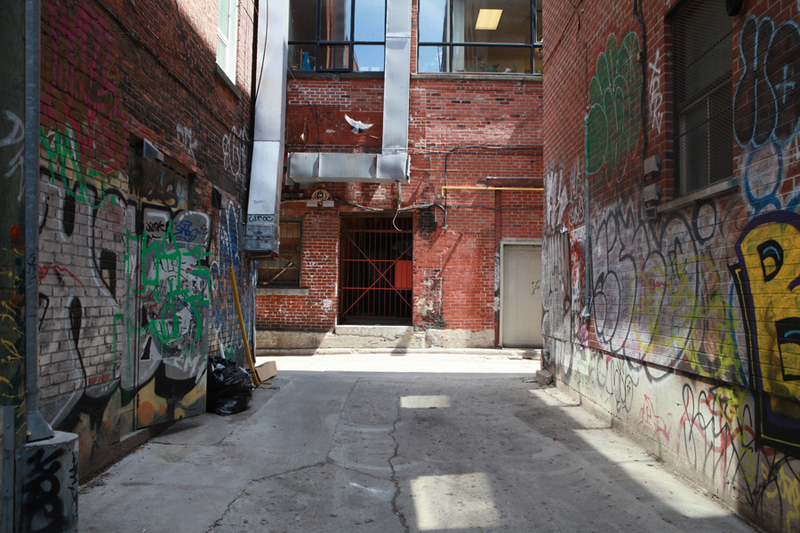 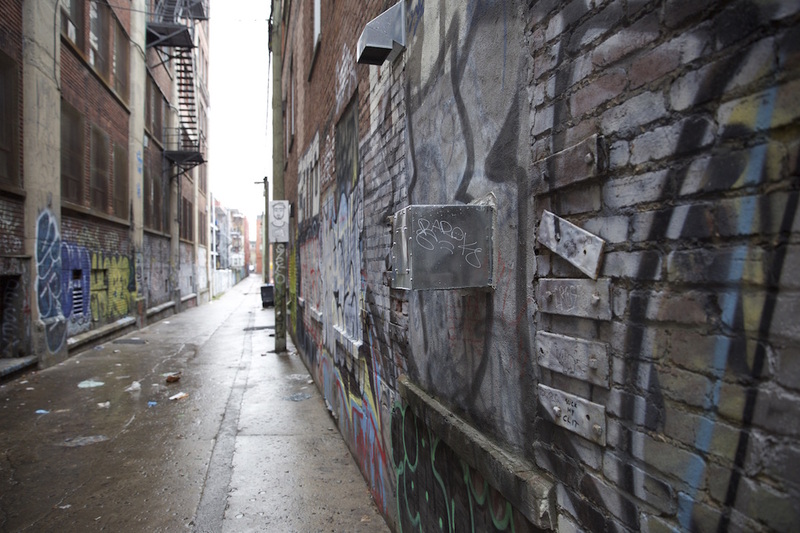 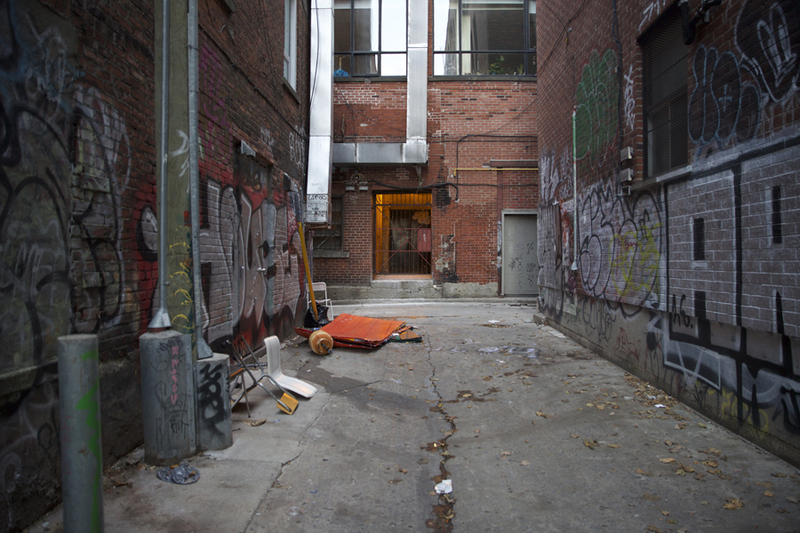 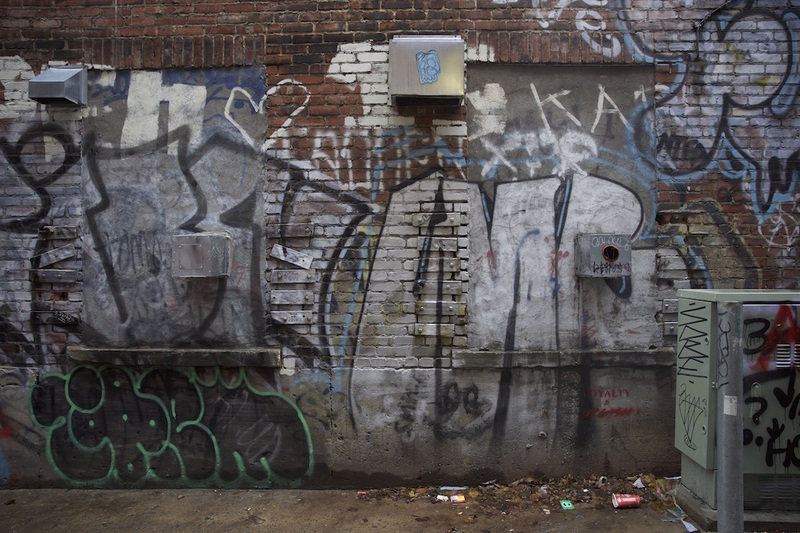 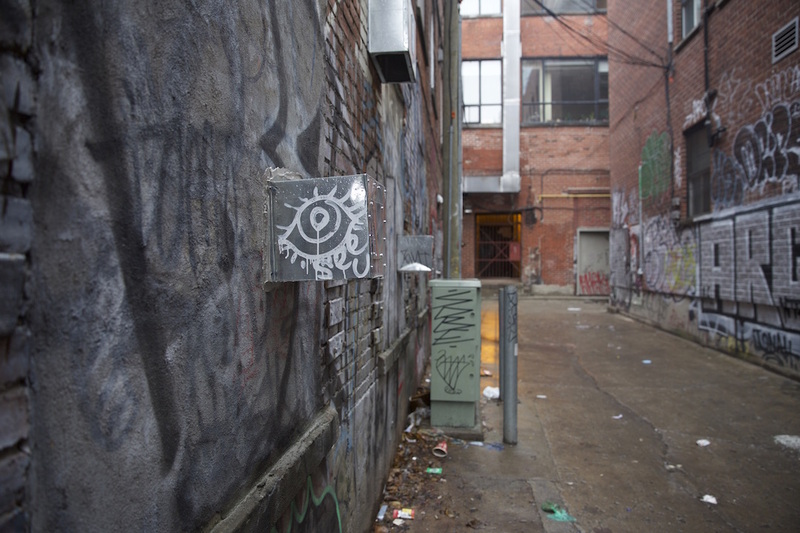 Just north of Ave Mont Royal, between Blvd St Laurent and Rue Clark, there is a rare convergence of two alleyways. 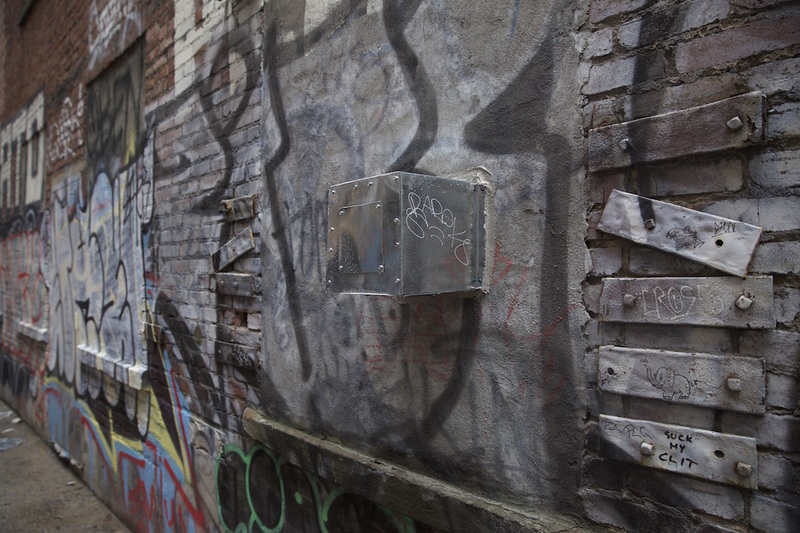 At this intersection, the engines of trucks rattle and industrial drones emerge from ventilation boxes affixed to the building. 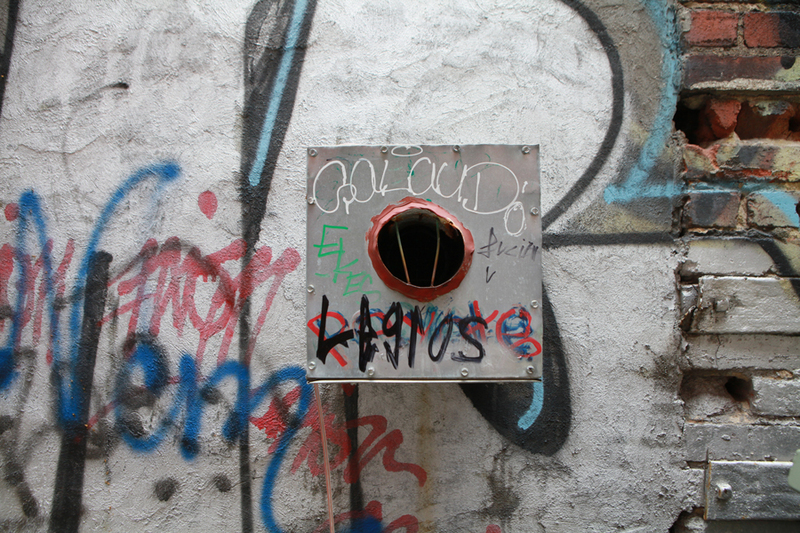 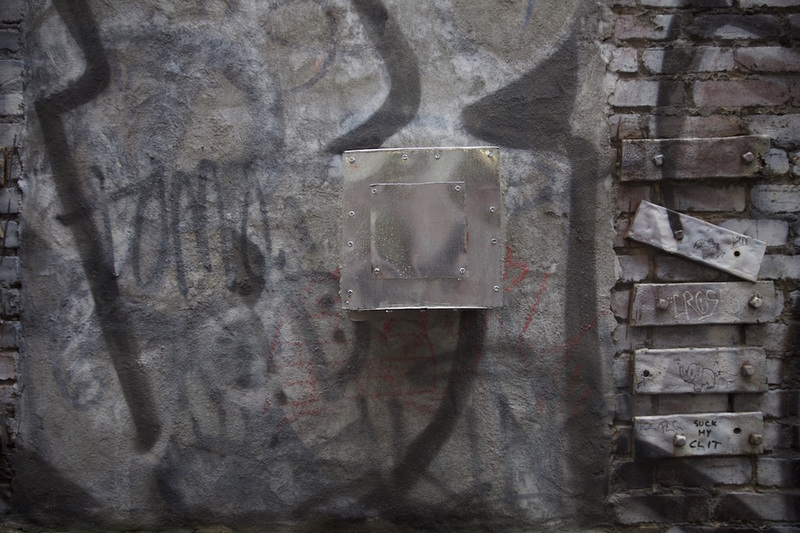 Inside a metal box, surface transducers enhance the audible ventilation sounds.